Lake Nacimiento may soon look like this if Monterey County doesn’t stop its continued mismanagement of the reservoir and massive taking of water. Please donate to the GoFundMe campaign, as explained below, to prevent this disaster. NRWMAC has exhausted nearly its entire operating budget by subsidizing the legal fees to date and now it needs your help. NRWMAC has started a GoFundMe campaign to replenish the funds necessary to sustain its legal challenge. It is estimated that a minimum of $100,000.00 is required to continue forward and resolve this issue. Please contribute whatever you can to help NRWMAC Save the Dragon, and please forward this email and this GoFundMe link to everyone on your mailing list. NRWMAC is a non-profit organization. Because of the way it is structured, donations made to it, or to the legal fund it is sponsoring, are not tax deductible to the donor. For more information on NRWMAC, how it supports Lake Nacimiento, and to join its growing list of supporters, please visit its website at http://www.nrwmac.org. The State Water Board - Division of Water Rights, the State Water Board - Division of Drinking Water, and the State of California Central Coast Regional Water Quality Control Board are currently investigating NRWMAC’s complaint to Cal EPA. Please donate today, using GoFundMe, private donations can be given at http://nrwmac.org/save-the-dragon/donate-today and thank you for your continued support. On September 19th, the Monterey Court denied NRWMAC from entering the existing lawsuit. This should have been an easy task to accomplish as the requirement to intervene in an existing lawsuit is simply to show we had an interest in the outcome., and we obviously do have that interest. However, to make sure we had all our bases covered, we also included a few defendants that have water rights from the lake and have pipes in the lake as their sole source of water. The court refused our state requested intervention. In short, we got hometowned by Monterey. We have fought back by filing an appeal with the California State Water Board circumventing the court and then additionally we are preparing to file our own lawsuit against Monterey in San Luis Obispo court. The suit we are filing in the next few weeks is for the mismanagement of the water and Monterey's refusal to follow their water management agreement with the State. This management agreement requires them to balance recreation with the other needs for water releases. We are making great headway with our expert attorneys, have done exhaustive research and are confident we have a path to success to make Monterey County change their lake operations procedure to better support recreation and keep water levels at acceptable levels. To fund this lawsuit, NRWMAC created this GoFundMe page, and NRWMAC board members donated $15k to start the fund. To date, approximately 400 people of the 6,500 people around the lake, have donated, and legal fees to date have cost almost half of the money that has been raised so far. The new lawsuit will be filed in San Luis Obispo Court in a couple of weeks, and we are anticipating Monterey to fight this action as hard as they can, and our attorney’s have estimated the cost of this battle in the courts to reach as much as $500,000. As a result we are forced to update our GoFundMe goal to match this amount. The NRWMAC board has been discussing the unimaginable reality of the situation. The organization exists to protect the interests of over 6,500 residences around the lake as well as the businesses that benefit from those residences and lake users. Monterey's actions are destroying our lake use, our property values, and even the wildlife that generates from the lake. 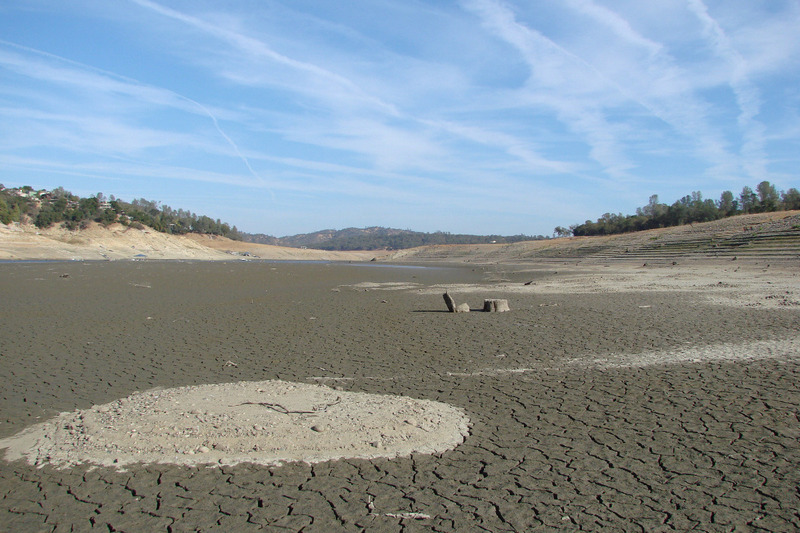 In one year Monterey drained Lake Nacimiento from a water elevation of 100% full to 10% left and many areas are dry lake bed. That is mismanagement at best! Its been represented by many realtors in the area that if Monterey County actions aren't stopped the property values could drop 25% in the next few years. Property values around the lake have already started dropping, and one only needs to drive around the area observe all the for sale signs of homes that aren't selling. Here’s the point... NRWMAC cannot be effective against Monterey without litigation. And litigation requires major financial support by the land owners and businesses affected around the lake. However, over 90% of these people haven't provided any financial support to help themselves. So why are we doing what we’re doing? The reality is that the lawsuit is being filed in your behalf, there is a long way to go with it, and Monterey has attorneys and money to fight with… and we need your support. If we don't get contributions immediately, we will be forced to shut down the litigation and the 6,500 people around the lake will no longer have any representation. Nacimiento water will be used/abused as Monterey sees fit. There will no longer be any coordinated resistance against Monterey. Property owners and Lake enthusiasts will be left to fend for themselves against Monterey County. People waiting to see if their donation will make a difference, I can tell you, now is the time if you value your recreation, way of life and property values. Later may not exist. We must decide if we want to protect our property values, lake life and the wildlife that goes with it or if we prefer dust/mud, dirt bikes, a dead lake, and lower property values. Please donate today, using GoFundMe, or if you prefer you can privately donate using the nrwmac.org link below, or mail a check to NRWMAC at PO Box 398, Paso Robles, CA 93447. On August 15, 2018, the Nacimiento Regional Water Management Advisory Committee (“NRWMAC”) filed a legal action detailed below in the Monterey County Superior Court to protect Lake Nacimiento enthusiasts, property owners and businesses. To date, with your contributions, the NRWMAC “Save the Dragon” GoFundMe Legal campaign has raised over $50,000.00 and we are grateful to all of those who have contributed so far. We need your help to continue the fight. NRWMAC retained a law firm that specializes in water rights law, as well as an expert in surface water hydrology, to examine all of the legal options available to it in dealing with Monterey County’s management of the lake and the water releases. While researching and preparing a path forward, NRWMAC’s lawyers discovered a lawsuit already in progress in Monterey County. (1) This action was filed in January of 2017, and involves, among others parties, the Salinas Valley Water Coalition (“The Coalition”), the Monterey County Water Resources Agency (“MCWRA”) and the Monterey County Board of Supervisors. In the lawsuit, the Coalition is demanding that even more water be released from the lake on a permanent and continuing basis. (2) Although they should have been, interested parties, (property owners, NRWMAC, etc.) were never informed of this lawsuit by either the parties or the court. The original parties in this lawsuit do not represent either the property interests around the lake, or the recreation or business interests. If the Coalition prevails, the result will be that an even greater amount of water will be released from Lake Nacimiento, a legal precedent on those releases will be established, and water levels will be much lower. NRWMAC’s intervention in this lawsuit is the first step in gaining a voice before the court, before the California State Water Resources Control Board, and with Monterey County, in compelling the recognition of the rights of Lake Nacimiento residents, property owners, visitors and enthusiasts. It also establishes NRWMAC’s standing in any future legal action, and is critical in the efforts to protect the Lake levels, property values, preserve individual property owners riparian water rights and recreational uses. A huge thank you goes out to everyone who has already contributed to NRWMAC’s GoFundMe campaign. The cost to fund this legal battle is significant and everyone’s participation is key to making it successful. If you have not yet contributed to the fund, please give what you can. Give again, if you are able. And pass the word about this issue, the fund and what NRWMAC is doing. Let others know about the problem and the need to raise additional funds to Save the Dragon and to keep recreation flourishing! (1) The parties are currently before the California State Water Resources Control Board, which will conduct evidentiary hearings in the matter. (2) The Coalition also alleges that Monterey County failed to provide water in previous years, under a Proposition 218 tax assessment, and seeks to have property taxes lowered as a result. This aspect of the current lawsuit does not involve either NRWMAC or it constituents.